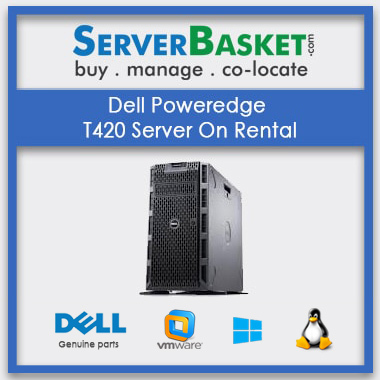 Shop for Dell Server rent at lowest price T420 5U Rackable Server from our online store company at lowest price compared to any other Dell server rental service provider in India. We provide Dell Server rental with flexibility and reliability which is suitable for your startup or running project. We offer Dell PowerEdge T420 Servers rental with high density optimized to the users so that the T420 server rental can run on large workloads by customizing the memory and storage options as per the client requirement. Dell power edge T420 server rental India is the best option for medium size to large size organizations. The following are the standard specifications of the rental dell PowerEdge T420 Server, which is Tower / 5U rack form factor, has Intel Xeon Processor E5-2403 processor, with 8GB 12 DIMM slots DDR3 memory, 500Gb, 2.5” SATA storage hard disk and 495W Platinum efficiency, hot-plug, redundant power supply and this specification can be expandable based on the client requirements and the project specification. Even we offer Dell T420 Rental Server and all spare parts or accessories within your limited budget with the high quality of performance. We provide delivery to your specified locations on the order or any location across India within less time without any damage.We deliver Dell server in all the major cities like Bangalore, Chennai, Noida, Hyderabad, Mumbai, Lucknow, Ahmedabad, Pune, Kolkatta, Delhi all over India and accept all payment methods COD, credit card, debit card, net banking, PayPal, EBS . Why late? 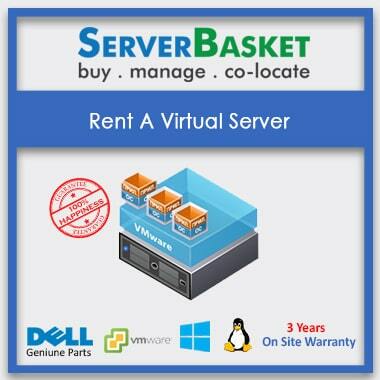 Shop for Dell Servers rental online for the lowest price. These servers work very well, and the prices are absolutely reasonable. They know their stuff and are sufficiently clever to obtain quotes and hints at the servers. Always had an excellent rental server service at Server Basket well-informed information, prompt, professional , helpful and courteous. Would highly recommend. 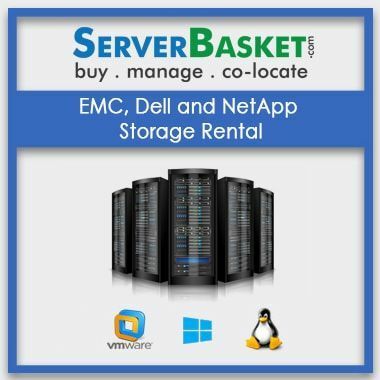 Do you offer Dell T420 server on rent with high end infrastructure? We provide Lease Dell Poweredge T420 server with high end infrastructure with high performance and it is easily updated without any extra investment. 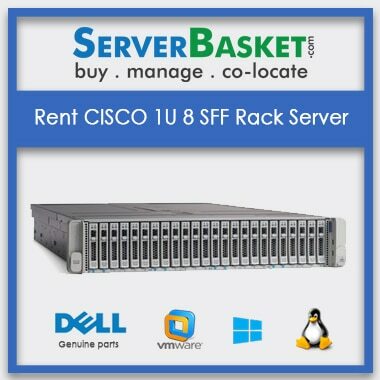 Is it possible to extend the Dell T420 Server Rental? Usually it is possible to extend the rental by contacting to the technical support and ask them to extend the rental period and the cost for the extended rental period will be calculated at different cost. Which type of Dell T420 servers on rent you will provide? We provide DELL, IBM and HP servers Rent with high end hardware, memory and storage options at low price as per the requirement of customer. If I get any trouble on Dell T420 Rental server such as performance or up gradation, then how can I contact? We provide 24/7 technical support via email, live chat and by phone if you face any problem or issue by the server. 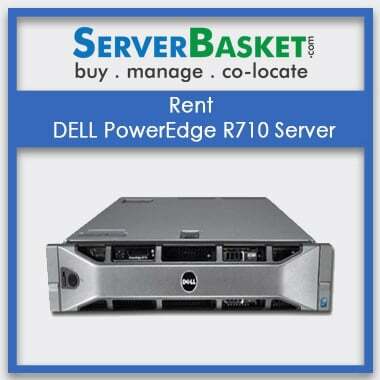 Will you provide discounts on rent Dell PowerEdge T420 server for bulk? Yes, we will provide discounts on bulk servers on rent to the customers in terms of investing less amount on the server, so that the user feels comfortable while Leasing server. What type of payment methods do you accept On Dell T420 Server On Rental ? We accept all type of payment options monthly and quarterly (we provide discounts) such as net banking, cash on delivery, EMI, online banking, Credit Card, Debit card and PayPal. Can you delivery the Dell T420 server For Rental at different locations? Yes, we can deliver the Dell T420 server rent at all location across India within 2-3 working days.